New to R&D tax credits? Before Rufus Leonard’s first claim, R&D tax credits were a mystery to them and they weren’t sure what they were worth. This award-winning brand experience agency had been innovating themselves, and also for clients. They were surprised by the size of their credit – and here they explain the impact it has had on their business. 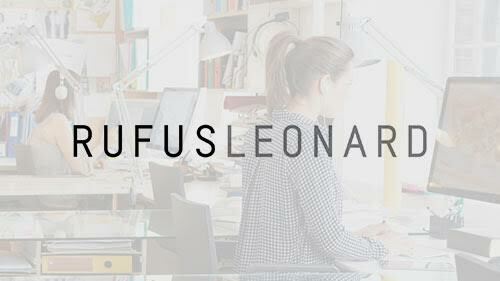 Rufus Leonard is an award-winning, independent brand experience agency based in London. They work with their clients to define, design and deliver a market leading customer experience across three main pillars: Brand Experience, Business Systems and Business Transformation. 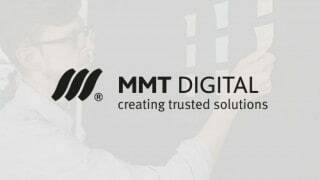 Within their scope of work, they have a large digital team that carry out qualifying R&D for tax credits. This includes, for example, projects around technical architecture and platform development and integration. Rufus Leonard is at the forefront of its industry. They have won BIMA’s ‘Agency of the Year’ award and The Drum’s #2 Digital and #2 Design Agency of 2015. Clients include Lloyds Banking Group, the AA, Stagecoach, Pizza Express and Royal Mail. The breadth of their R&D makes an interesting case study of the wide variety of projects that can qualify for R&D tax credits. As ForrestBrown got to know the business inside out, we identified both internal projects and client projects that clearly sought advances in technology to deliver successful outcomes. The qualifying internal projects at Rufus Leonard revolved around building digital infrastructures in which they could more efficiently undertake their QA process and make deployments; and developing frameworks for quickening the production of projects, for example, responsive websites. And then there were the client projects. We have already hinted at the wide range of high-profile clients that Rufus Leonard work with, and one project we shall look at in more detail was for Stagecoach. The aim was to create an online experience that incorporated mobile ticketing, real time information, personalisation, geo-location, time-tabling and much more – serving all of their 18 separate operating companies. The back-end task was huge and even though there were numerous off-the-shelf or previously developed components that fed into the solution, Rufus Leonard needed to integrate these with 50 different APIs. And where there were limitations in the existing technology, they had to develop bespoke solutions. A lot of this activity qualified for the R&D tax credit. Of course, part of the challenge of working on something so complicated is to make it easy to use – both front-end and back end. A 30% increase in revenue hints at the success of the front-end usability, whilst Rufus Leonard were able to develop a back-end that is accessed through a single service layer. The positive effects of an R&D tax credit claim can be far reaching. This case study documents a prestigious digital agency’s discovery that projects they undertake for their clients do qualify for R&D tax credits, and how ForrestBrown helped them claim retrospectively. It goes on to showcase how the money received through the tax incentive has helped them recruit and retain high quality developers by further investing in their own research and development.